How beautiful! She will be so excited to have the baby in his woolies, too! Oh I love that you made a pair of slippers for her too! Just so pretty...I know they will be so loved! 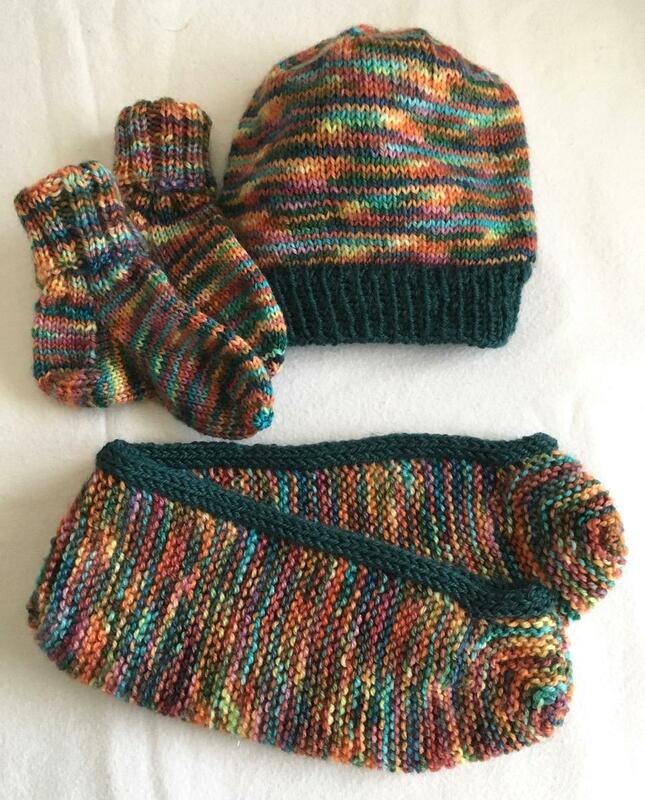 She will be thrilled with the matching baby socks and hat. Little person things are just SO adorable. So cute! I love that you made a pair of matching footies for Mom! Very sweet. I love them!!! What a wonderful gift. 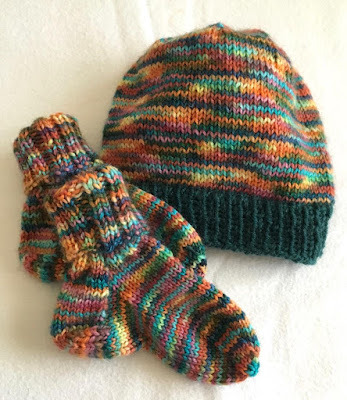 Cute socks/hat. I like that variegated yarn you used.